Professor Sally Hardy is due to start at London South Bank University in January 2014, as the new Head of Department for Mental Health and Learning Disabilities in the Faculty of Health and Social Care. Sally started her nursing career as an adult nurse at Guy's Hospital in London, moving into mental health nursing to gain dual qualification. She continued to work and study obtaining a Masters Degree in Clinical Mental Health Nursing at the Institute of Psychiatry London. Sally then moved to University of East Anglia, where she remained for 10 years, gaining her Doctorate entitled: Contemporary Concepts of Madness, at the Centre for Applied Research in Education. Throughout her academic career Sally has remained closely linked with the NHS, promoting practitioner led inquiry and service improvements through evidence based health care. She was invited to work at the Royal Children's Hospital in Melbourne Australia, leading a major organisational modernisation programme, and obtained funding for a three year action research project to monitor and measure organisation wide health care transformation. This was a joint appointment with Monash University, where Sally has maintained an Adjunct Professor role. 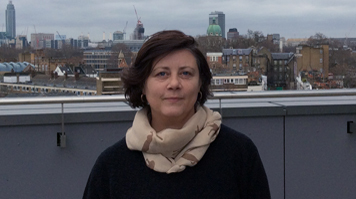 On returning to England, Sally worked as Head of Department for Mental Health and Learning Disabilities at City University London, launched the Joint Institute for Mental Health nursing with East London Foundation Trust in 2009, and achieved a role as Associate Dean, working to re-profile the CPPD contract and Masters provision across the School of Health. Sally's research focuses on understanding what contributes to a sustainable workplace culture that promotes practice expertise; achieved through use of a facilitated transformational approach to innovation.